Welcome to the charming Bayside community. Along tree lined streets, and only steps away from the beautiful open space of Bayside Park, you'll find this lovely, multi-level duet home, that features 3 bedrooms and 3.5 baths. The lower level Junior Suite with separate entrance and adjacent full bathroom, makes for a perfect private retreat or home office. After ascending to the second level, you will find an open concept living space, ideal for entertaining and family gatherings. The third level offers two spacious bedrooms, each with its own en suite bathroom. The entire home has soaring ceilings, dual pane windows accented with beautiful custom plantation shutters, wired surround sound, and an abundance of natural light throughout the home. 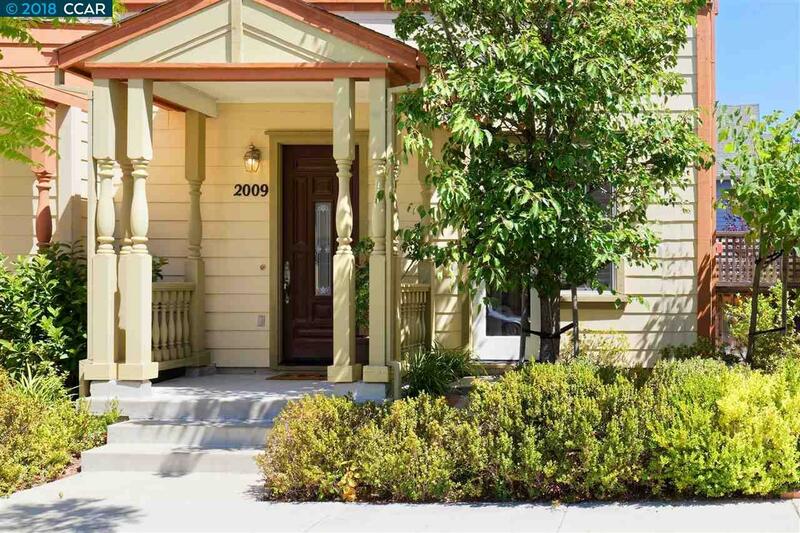 Enjoy nearby Starbucks, SF Bay Trail, Hercules Waterfront, and various shops and restaurants. Minutes to Hwy 80, Hwy 4, and the BART Transit Center that offers easy and convenient service to downtown San Francisco.